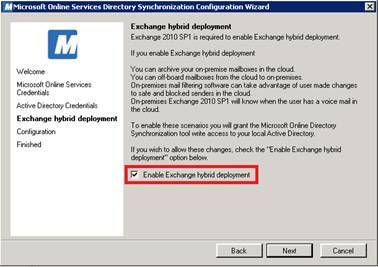 In part the first two parts of this series we looked at the simplest scenarios for moving mailboxes from Office 365 to an on-premise Exchange server, demonstrating how easy it is to move mailboxes around if we need to. Part three began to look at our main scenario - moving a complete standalone tenant to a new Exchange 2010 organization. In the previous article we performed pre-requisite checks against the environment and exported user, group and group information. 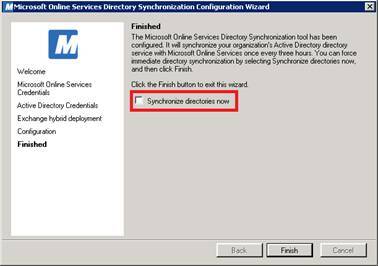 In this part of the series, we'll create matching accounts in Exchange, and begin to configure DirSync. The main difference in the mappings table shown above is that Exchange Online Mailboxes become Remote Mailboxes on Exchange on-premises. This means Exchange knows that there is a Mailbox in the cloud, and later on it will enable us to move the mailbox from Office 365 to Exchange Online. You may note we've chosen a specific naming format for the Remote Domain. 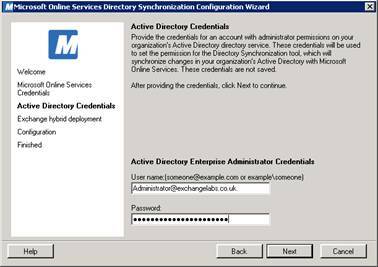 This is to match the format the Hybrid Configuration wizard will expect when we configure this later on. This will allow us to demonstrate a more advanced feature, DirSync Filtering. 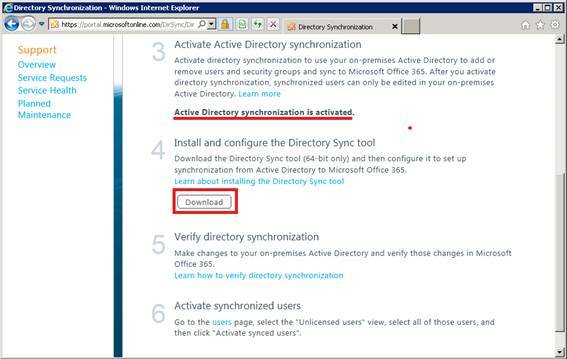 There's no need to synchronize other Active Directory accounts to Office 365 except from those that we'll create in a few moments, therefore we'll configure DirSync later in the article to only synchronize against the Office365 OU. 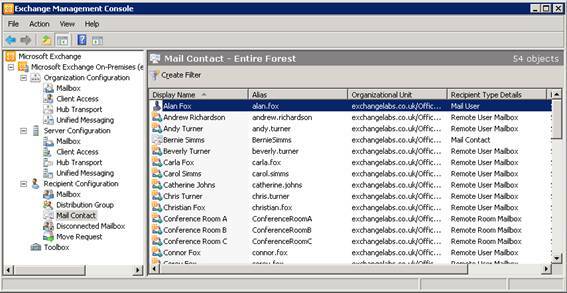 Whilst not essential for this article, if you are migrating accounts into an existing Exchange organization you'll find this feature a blessing. 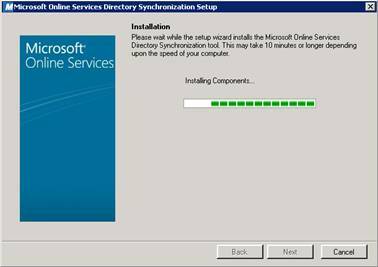 With our Remote Domain configured and Organizational Unit chosen, we'll now look to use the Export files we've copied to the Exchange Server. Our first task is to import users and contacts exported in the previous part of this article, and set some basic information including the Common Accepted Domain, Remote Routing Domain and Organizational Unit. Because we can't retrieve their password, we've chosen to set a common password for these users, giving us the option later to change the passwords before migrating each mailbox. 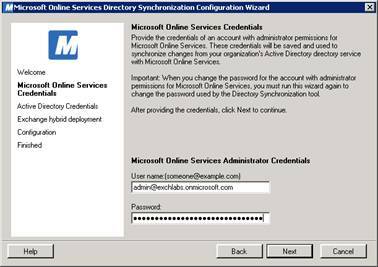 New-RemoteMailbox -Equipment -Name:$_.Name -SamAccountName:$_.SamAccountName -UserPrincipalName:$_.WindowsLiveID -Alias:$_.Alias -PrimarySMTPAddress:$_.PrimarySMTPAddress -OnPremisesOrganizationalUnit:$OU -RemoteRoutingAddress:"$($_.Alias)@$($RemoteDomain)"
New-RemoteMailbox -Room -Name:$_.Name -SamAccountName:$_.SamAccountName -UserPrincipalName:$_.WindowsLiveID -Alias:$_.Alias -PrimarySMTPAddress:$_.PrimarySMTPAddress -OnPremisesOrganizationalUnit:$OU -RemoteRoutingAddress:"$($_.Alias)@$($RemoteDomain)"
An important point to note with account details imported is that you may need to customize the scripts to meet your particular situations needs, for example if additional properties are set that are not captured or set by the examples in this article. After importing user information our next step is to import Distribution Groups and Group members into the local Active Directory, again using our exported information. As with the imported users, the examples in this article don't cater for every property set against groups in Office 365, therefore if the tenant you are importing uses features not covered by these examples you will need to make adjustments. 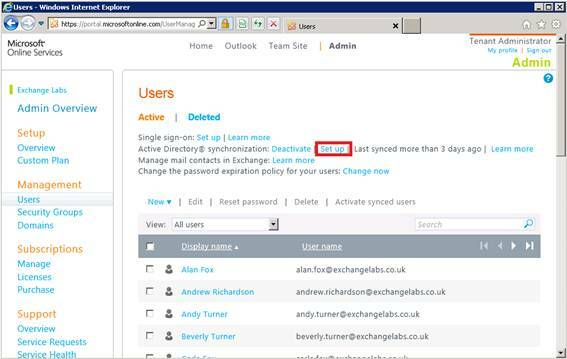 We've now populated our local Exchange 2010 organization, and it almost looks like we're joined up with Office 365. Remote Mailboxes, Distribution Groups, Contacts and Mail Enabled users all match up. 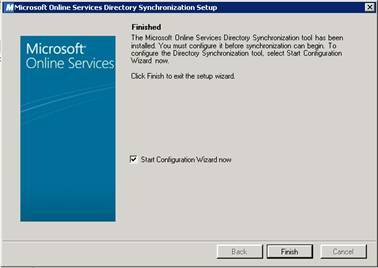 With DirSync installed, configured and subsequently disabled we are now ready to perform the supported reconfiguration to only synchronize the chosen Organizational Units with Active Directory, and with DirSync stopped we will be able to step through the initial synchronization process and ensure that the correct Active Directory accounts are synchronized; all of which we'll cover in the next part of this series. 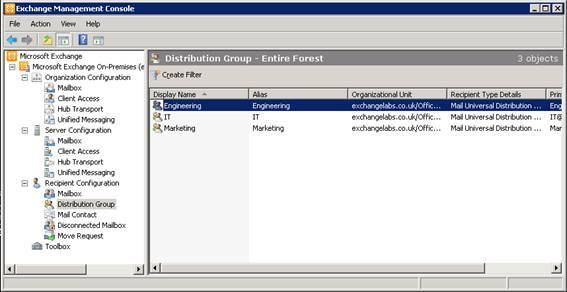 In this part of this multi-part article we've imported accounts and distribution groups from our Office 365 tenant into our fresh Active Directory and Exchange 2010 installation. 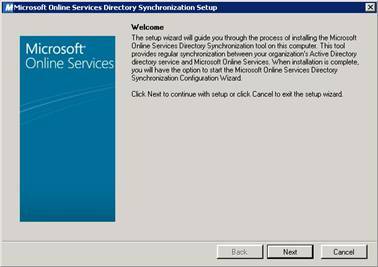 We've also performed the initial configuration of DirSync ready for further configuration.